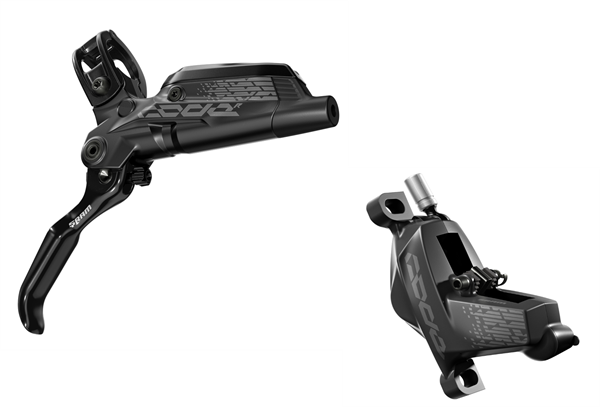 Product information "SRAM Code RSC Disc Brake - black"
Code RSC is built from the elements that made Guide a benchmark in contemporary brake design and performance, and delivers an extra 15% power to shine in all heavy duty applications. SwingLink™ and Lever Pivot Bearings ensure a smooth and progressive feel at the lever, while the additional 30% positive fluid volume ensures consistent performance even when braking harder, more frequently or with a heavier mass to slow down. Related links to "SRAM Code RSC Disc Brake - black"
Customer evaluation for "SRAM Code RSC Disc Brake - black"